Picture this: we are close to Sam Yan market, at Nakorn Pochana (“Pochana” is a common Thai word to designate “restaurant”, particularly Thai-Chinese restaurants). Called “Nai Hai” by its unusually loyal regulars, Nakorn is generally regarded as one of Bangkok’s premier Thai-Chinese restaurants, alongside stalwarts like Pen on Chan Road and, once upon a time, Jay Ngor (where the quality has slipped as it expands). Like its Thai-Chinese peers, Nakorn specializes in stir-fried greens, deep-fried and steamed fish, and a smattering of well-loved fried noodle dishes — all showcasing the enormous contributions Thailand’s Chinese community has made to the country’s cuisine (noodles, the frying pan, and the steamer among them). Where was I? Oh yes. A mass of flesh and hormones, inching ever closer to 80 kg and my tenth month as a pregnant person, I was stuffing my face with one of Nai Hai’s most well-known dishes: chunks of tender abalone, bulked up with juicy shiitake mushroom caps, a savory shellfish bounce with the slightly bitter backbone lent by shards of bright, brittle kale. My enjoyment of this dish was so intense my blood pressure shot up to stratospheric levels, a development that was initially blamed on the restaurant’s tea, then to a panic attack, and finally to the rapid onset of pre-eclampsia. I was unable (to my regret) to attend to a highly anticipated dessert of sugar-encrused taro, and was rushed to the hospital in time for 16 hours of labor-induced fun. My son was called “pow hu” (Thai for “abalone”) for weeks afterwards. Needless to say, it took me a few months to get back to Nai Hai. But like all good things, it was worth the wait. 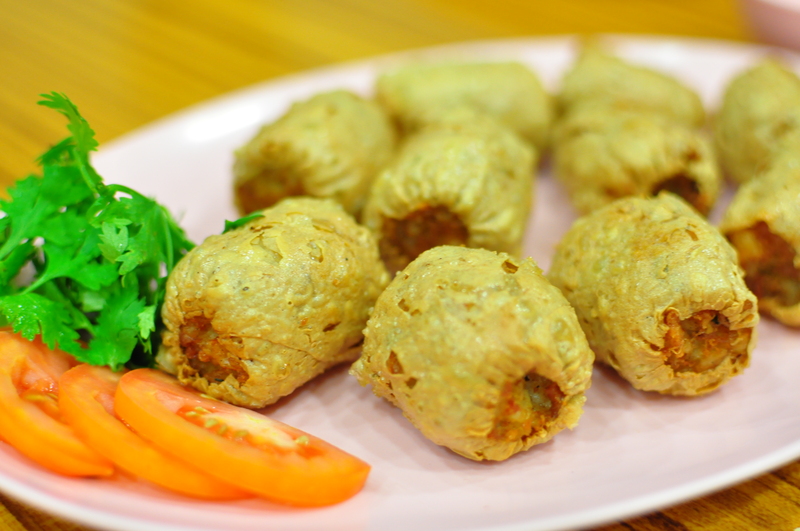 Like an old friend, Nakorn’s hoy jaw (deep-fried crab dumplings, which differ from the shrimp variety, called hae gun) presents familiar flavors, but in a superlative fashion. A crinkly, crackly package of the sea, here it is never too greasy, not too heavy. Like a classy party-goer who can hold her liquor, the rest of the menu shows similar restraint. Its gaengs (an all-encompassing word running the gamut from thick curries to clear soups) are never too obnoxious or obtrusive. 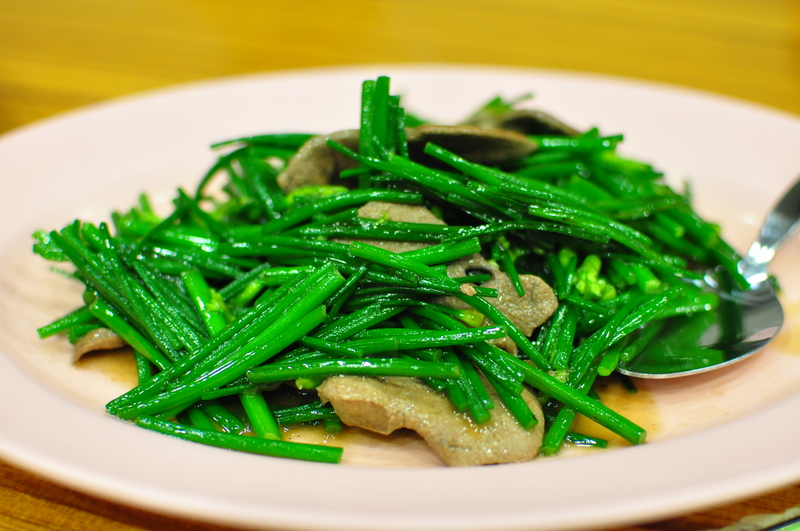 Its extensive range of stir-fried greens — including, but nowhere near limited to garlic chives, pumpkin shoots, young spinach, broccoli sprouts and the ever-present morning glory — are always seasoned to perfection, and never oily (a recurring theme in lesser Thai-Chinese restaurants) or over-cooked to oblivion. 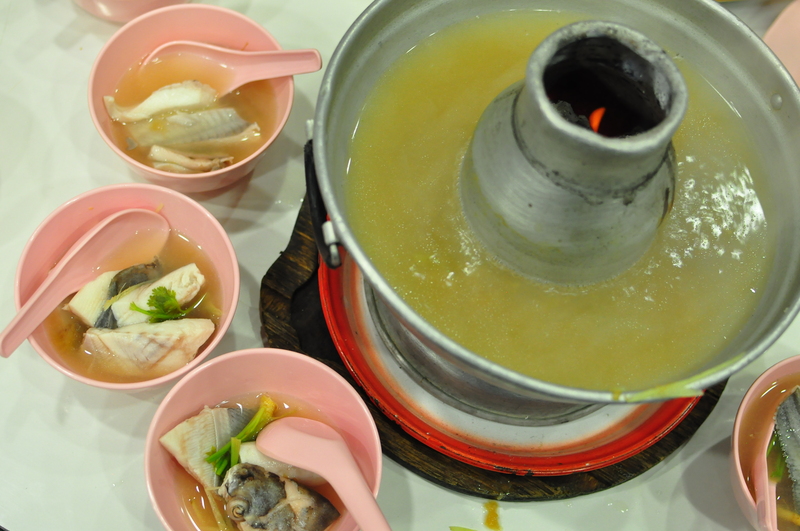 But the best part of Nakorn’s menu may be its seafood. This is not the fiery, in-your-face stuff of Bangkok’s well-known seafood purveyors (of which Sorntong Pochana on Rama IV is a good example; Somboon Seafood is better-known but a mere echo of a good restaurant). This is also more restrained, including the popular specials (steamed seabass with pickled plum) with the more esoteric (deep-fried split langoustines). 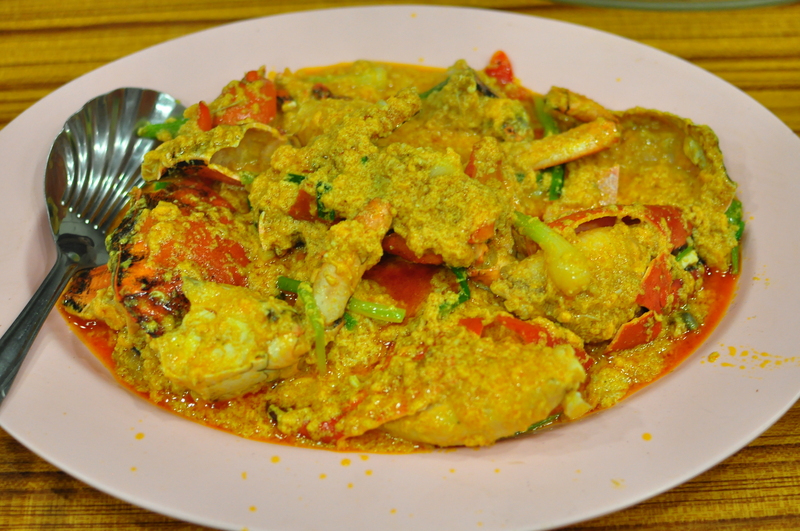 The best, though, may be a dish beloved in Thai-Chinese restaurants across town: stir-fried cracked crab in curry, comparable (and almost as good) as the version at Pen. Best of all, it’s the little details that set Nakorn apart from the rest of the pack: the casual, convivial atmosphere, conducive to lots of shouting and (of course) grabbing; a loyal coterie of customers ranging from college students to middle-aged “khunying” types on their hair’s day off; the ability to take out excellent jok (Chinese-style rice porridge) for the next day’s breakfast just next door at Jok Sam Yan; and service that remembers the last time you came and expects to see you again. 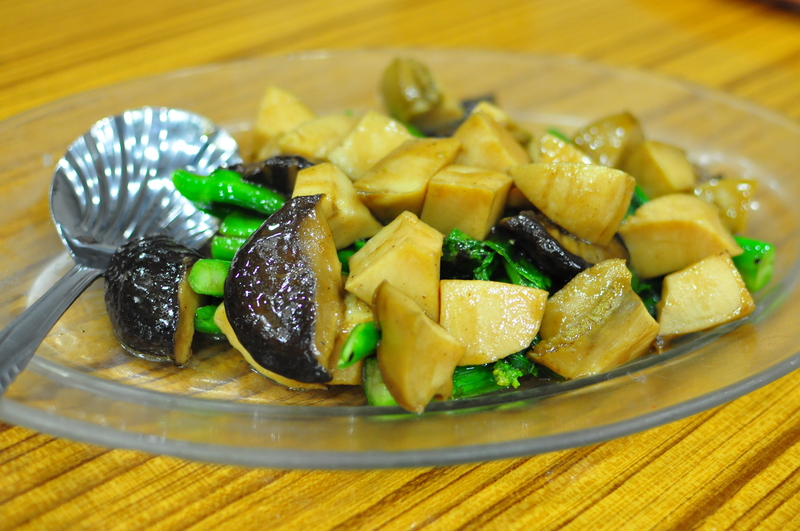 That abalone was epic, and I’d love to taste the fried rice with olives again if only to make sure I remembered the flavor correctly. Jay Fai’s curry crab was better.